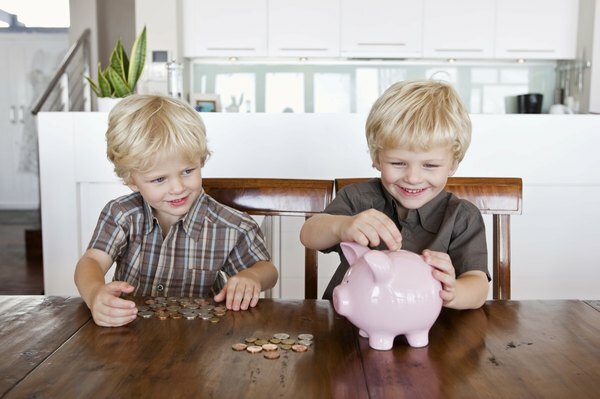 Your kids' penny collection could be a gold mine -- of copper. While many investors think about precious metals as investment vehicles, industrial-use metals like copper can also be stores of value. While one can invest in copper indirectly by purchasing companies that mine or smelt it, directly purchasing physical copper is another option. It can be done by actually buying copper or by purchasing shares in a fund that holds physical copper investments. Just like gold, silver and platinum, copper gets made into bars and ingots. Copper bars are typically minted to high levels of purity and come in varying sizes. Typically, small bars are one ounce in size, but mints also produce copper bullion bars in sizes as large as 10 pounds. Investors can also purchase copper coins. These typically have smaller sizes than bars, such as a single ounce or a fraction of an ounce. Older pennies are made of 95 percent copper. However, in 1982, the U.S. Mint started using zinc instead of copper, so any coin minted from that point forward has no copper value. While some investors choose to hold older pennies as an investment in copper, it is illegal to melt them down to extract the metal. The key logistical challenge in holding physical copper comes from its relatively low value. For example, as of February 14, 2014, a pound of copper traded at $3.26, which works out to 20.375 cents per ounce. Gold traded for $1,318.60 and silver for $21.42 per ounce. In other words, an investor would need about 6.6 pounds of copper to equal the value of an ounce of silver and over 404 pounds to equal the value of an ounce of gold. To hold $50,000 worth of copper at this price, the investor would need to find a place to keep 7.7 tons of it. Another way to invest in physical copper is to purchase funds that invest in it for you. As of the end of 2013, the plans of two U.S.-based funds to hold physical copper were shelved, but as of February 2014, the option could arise again. One fund that holds physical copper trades on the London Stock Exchange. Alternatively, investors can buy and sell futures on the copper market, letting them benefit from price changes. Some exchange-traded funds also hold copper contracts, letting investors gain exposure to copper without having to deal with the complexity of options trading.